Child abuse and neglect are social and public health problems that need to be addressed by strong policies and dynamic initiatives that show quantifiable results. The Healthy Families America® Initiative: Integrating Research, Theory and Practice is the most up-to-date examination of the home visitation program aimed at preventing child abuse and neglect. This contemporary and comprehensive summary of research and practice contains five empirical articles at the national, state, and multi-state levels, scholarly reviews, insights into Healthy Families America® (HFA) challenges and successes, and commentaries about the next steps for HFA. This detailed study of HFA is a roadmap for prevention efforts of the future, discussing in detail its past and present, the benefits and challenges of researcher/practitioner partnerships, and expert suggestions to improve practice. Healthy Families America is a program that works to help new families give their children a healthy, abuse- and neglect-free environment in which to grow. 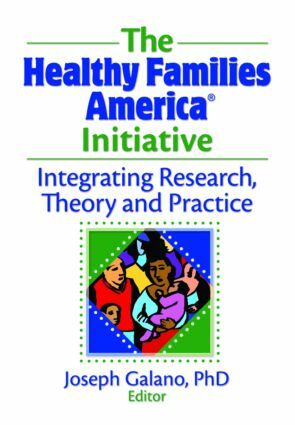 The Healthy Families America® Initiative: Integrating Research, Theory and Practice looks closely at the research to assess whether or not the program has actually attained its projected goals. This book comprehensively discusses the programs from both micro and macro perspectives, while offering practical strategies to strengthen HFA and guide the next phase of child abuse prevention. This resource also provides several tables to clearly present research data and is extensively referenced. The Healthy Families America® Initiative: Integrating Research, Theory and Practice covers the history of HFA; challenges and successes associated with its expansion as a national prevention initiative; the credentialing process; the evolution of the HFA Research to Practice Network (RPN); information on Every Child Succeeds and Healthy Families Arizona programs, and what makes them work; the theory, research, and practical constraints of developing, implementing, and evaluating a multi-site and statewide HFA program; the Web-based eECS system that optimizes quality assurance and collects data to document and identify clinical needs; an overview of the literature on home visiting outcomes; a current comprehensive summary of HFA outcomes; and suggestions on how to frame child abuse and neglect prevention to best impact citizens and public policy. The Healthy Families America® Initiative: Integrating Research, Theory and Practice is essential reading for professionals involved in child abuse and neglect prevention and treatment, community psychologists, professionals involved in prevention and health promotion, child advocates, HFA’s program evaluators and practitioners, sociologists, and policymakers.